Expedia has Enumatil packages ready for you. Combining your accommodations and flights is one of the easiest ways to save money on your trip. When you book a package deal on Expedia, you can save up to 42%*. With just a few clicks, you can sort out everything you need for your next vacation with our comprehensive database. And — with more than 400 partner airlines and 321,000 properties from all over the world, you'll have the flexibility to be fussy! You never have to worry about changing your family's vacation plans, as we don't charge additional cancellation fees for almost all of our hotel bookings. Can't wait for your trip to Enumatil? After some suggestions about what to do when you arrive? That's where we come in! Famous for its architectural qualities, lovely surrounds and old traditions, University of Groningen is rich with history. Walk around the faculties and take in its timeless atmosphere. There's a fabulous range of things to keep you busy in and around this destination. The oceans are full of wonder, but also full of dangers. Make your way to Noordelijk Scheepvaart Museum for a look at seafaring history and how we conquered the great unknown. Still got some time to spare? If you have an investigative mind, it's worth a trip to Universiteitsmuseum. You never know what you will learn here! Heading to Enumatil? It'd be wise to book a room for your cheap vacation or luxury getaway as soon as you can. There are only 3 properties available. If you're after accommodations with first-rate reviews and comfortable beds, you really can't go past the Best Western Plus Hotel Restaurant Aduard (Friesestraatweg 13) and the Fletcher Hotel-Restaurant Langewold (Ceintuurbaan Noord 1). If you're coming in by plane, you'll most likely be hitting the runway at Eelde Airport (GRQ). After you've picked up your luggage from baggage claim and wandered outside, the heart of Enumatil will be waiting 9 miles (14 km) away. Located in the heart of Groningen, this hotel is within a 10-minute walk of Prinsenhof Gardens and University of Groningen. Stadsschouwburg and Martinikerk are also within 10 minutes. Groningen Noord Station is 13 minutes by foot and Groningen Station is 22 minutes. 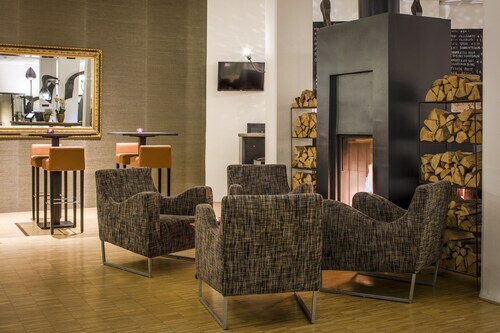 Located in the heart of Groningen, this eco-friendly hotel is within a 10-minute walk of Grote Markt, Martinikerk, and Vismarkt. Universiteitsmuseum and Groninger Museum are also within 15 minutes. Groningen Station is 14 minutes by foot and Groningen Europapark Station is 23 minutes. 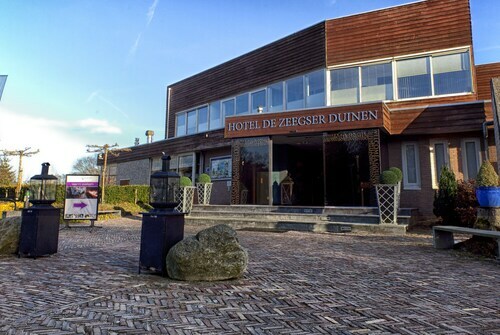 Situated in a rural location, this eco-friendly hotel is within 9 mi (15 km) of Sprookjeshof, Hunebed D17, and Drents Museum. Hunebed D13 and Grafisch Museum are also within 12 mi (20 km). 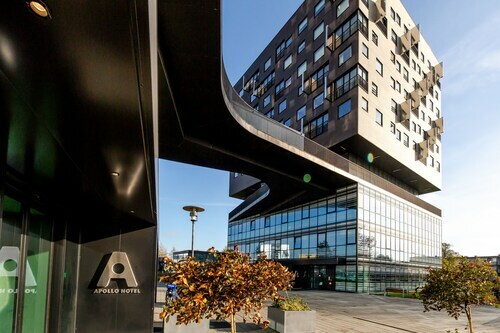 Located in the heart of Groningen, this eco-friendly hotel is 1 mi (1.7 km) from Grafisch Museum and 1.7 mi (2.7 km) from University of Groningen. Dutch Comics Museum and Groninger Museum are also within 2 mi (3 km). Groningen Station is 25 minutes by foot. Situated in Groningen, this eco-friendly hotel is 0.1 mi (0.2 km) from Hooghoudt Brewery and 2.9 mi (4.7 km) from University of Groningen. Euroborg and De Oosterpoort are also within 3 mi (5 km). Groningen Europapark Station is 27 minutes by foot. Situated in Paterswolde, this eco-friendly hotel is within 6 mi (10 km) of Dutch Comics Museum, Grafisch Museum, and Groninger Museum. Visual Arts Centre and Vismarkt are also within 6 mi (10 km). 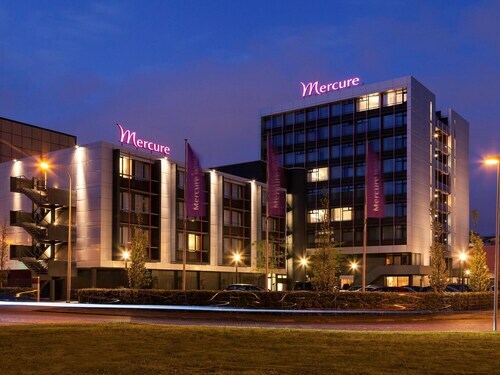 Situated in Groningen, this hotel is 0.9 mi (1.4 km) from Grafisch Museum and 1.5 mi (2.4 km) from University of Groningen. Dutch Comics Museum and Groninger Museum are also within 1 mi (2 km). Groningen Station is 22 minutes by foot. Located in the heart of Groningen, this eco-friendly hotel is within a 15-minute walk of Stadsschouwburg and University of Groningen. Prinsenhof Gardens and Martinikerk are also within 10 minutes. Groningen Station is 21 minutes by foot and Groningen Noord Station is 22 minutes.